2 Levels For Display and Storage. 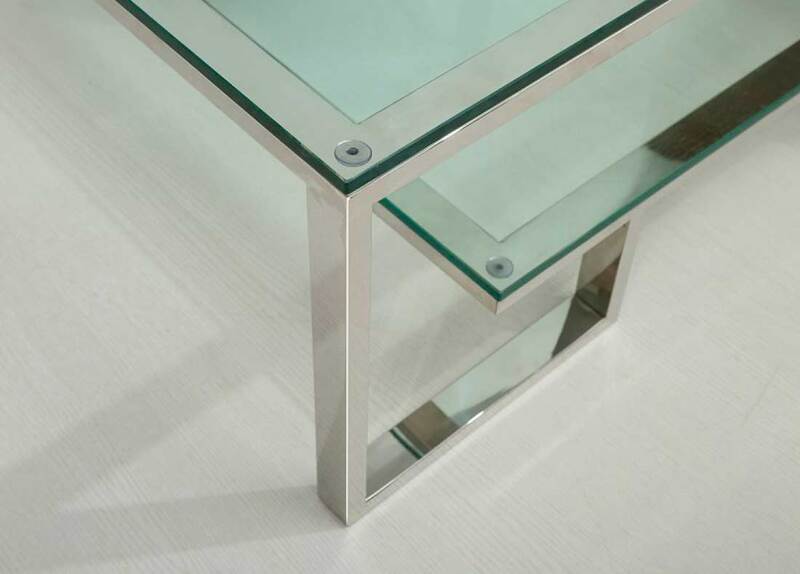 Two tiered geometric squares made of 12mm clear tempered glass are framed with stainless steel, creating two levels of storage space for displays. 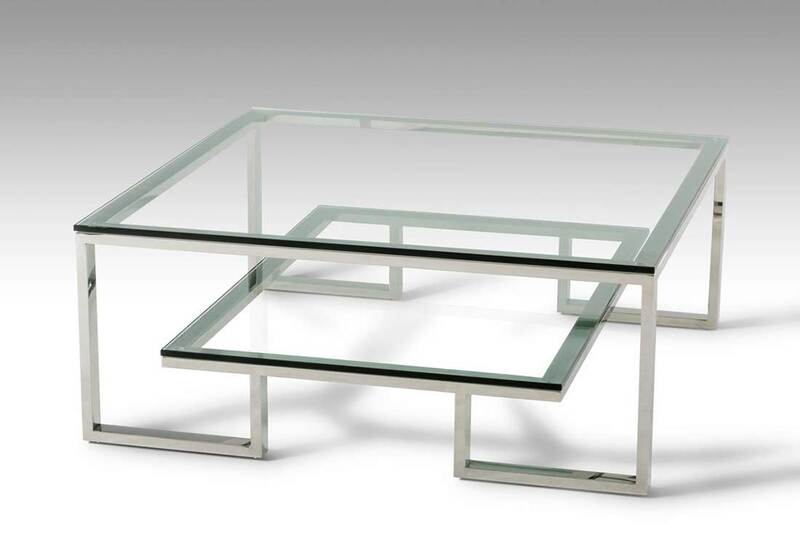 This clean and contemporary design will look amazing in any home. Display next to a sofa set that also has stainless steel accents to tie the look together. Bottom Shelf: W28" x D39"
Space Between Top & Bottom Shelf: 7"
Unique and Stylish, Wave-shaped Base. 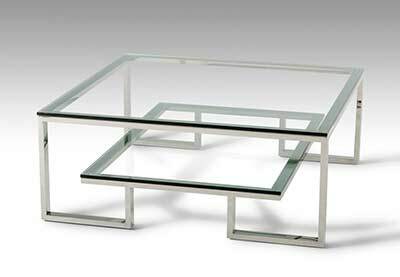 Uniquely designed stainless steel base.